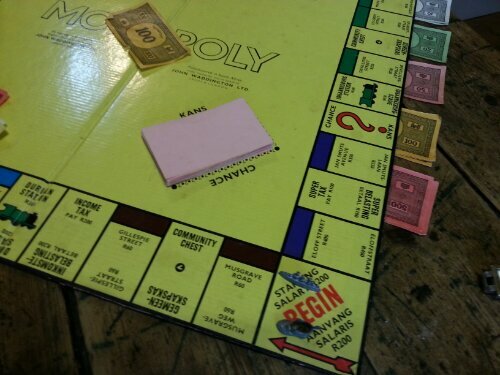 My Monopoly set from a distant yet present childhood. Observe the premium property: Eloff Street at R400. Also that we have the Community Chest cards on the Chance block. Jack and I play fast and loose. It was a draw.